T-bone Productions has leveraged it's technical expertise to develop two products, Autoconsole 3.0 and Coursebuilder®. These products are designed to deliver business efficiencies and return on investment. Both are also low cost and easily customisable to reflect personalised branding and content. T-bone Productions has worked with Toyota Motor Corporation for over 15 years. 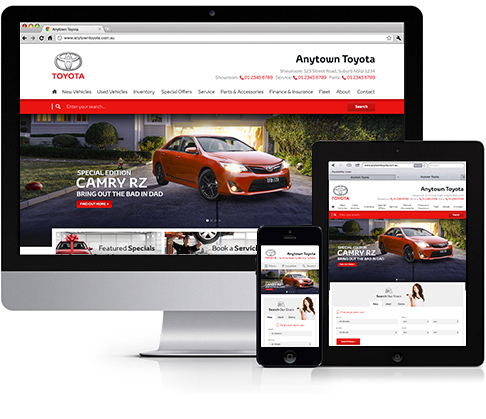 In 2014 we worked closely with TMCA to develop a consumer facing website solution for the Toyota dealer network. As part of this process T-bone Productions have become a Toyota Certified Website Supplier and launched Autoconsole 3.0, a Toyota certified platform. Autoconsole 3.0 adheres to Toyota's website policy and features responsive design that works across all common devices, a goal oriented user interface, best practice search engine optimisation and direct integration with common dealer management systems. 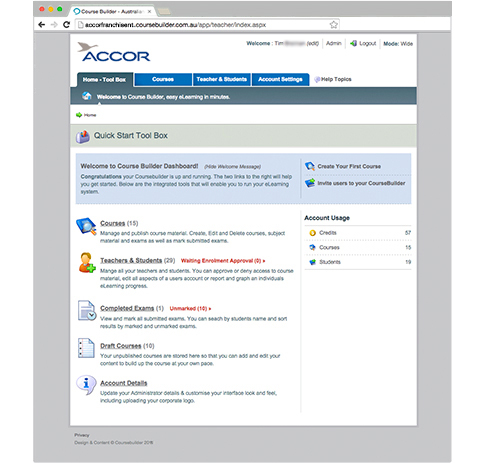 Coursebuilder®, originally launched in 2008, is a comprehensive learning management system. Unlike other systems, it is hosted and supported by T-bone so teachers and administrators can focus on their courses and students, not on tech. The easy-to-use course creator tool allows teachers to create rich courses containing various of multimedia content with minimal training. Coursebuilder is used for training and compliance by notable large corporates such as Toyota Australia and Woolworths and many small and medium businesses. Coursebuilder is a trusted solution for your training and compliance needs, both large and small.